From Saxon defences to hidden ropewalks and foul-smelling drainage systems! There is something for everyone this Easter at Bridport Museum. The ever-popular historic guided walks run on the 9, 11, 16 and 18 April. 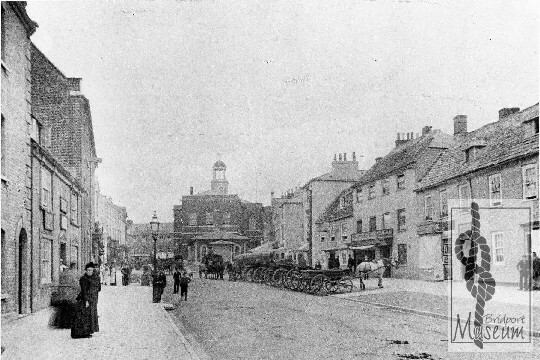 The Tuesday walks delve into the ‘Beginning of Bridport’- looking at the town’s origins as far back as Anglo-Saxon times. The Thursday walks will uncover more of the town’s industrial past. Tours leave from the Museum at 10am, and cost £3.50 per adult. Children and well-behaved dogs are free! The walks last around 1.5 hours and are all easy, level walking. From Monday 1 April the Museum will be back open for its full-time hours: Monday-Friday 10am-5pm and Saturday 10am-4pm. There is lots more fun at the Museum for all the family including trails and crafty activities. On Thursday 11 April you can grow your own ‘rope’ by planting flax seeds to take away, and on Thursday 18 April you can get stuck in to make your own Easter cards. Don’t forget to visit the shop for some last-minute Easter gifts!